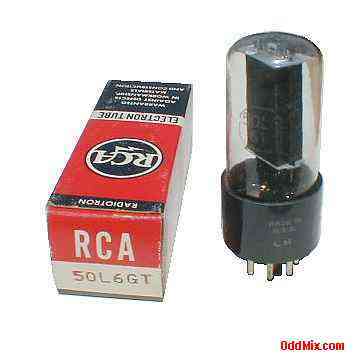 This is a genuine, vintage RCA Radiotron 50L6GT beam power electron tube. Developed for output stage for AC/DC receivers as a class A amplifier. A beam tube can be used for many other circuits like oscillators and RF amplifiers. Useful for antique radio restoration projects, audio power amplifiers, small SW transmitters or to set up a private vacuum tube museum. It is NOS tube - New Old Stock, unused, boxed, excellent condition.